The Freight Transport Association Ireland (FTAI) has called on the Minister for Finance to address critical issues facing the road haulage and logistics sector in its pre-Budget submission. “The 2019 Budget will be very important in preparing for the reality of a post-Brexit Ireland. 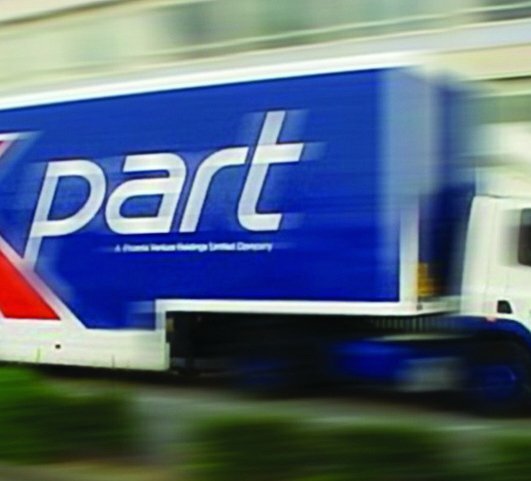 Up to now the views of the logistics sector have been completely ignored and it is time that this was urgently addressed, as businesses need to prepare for Brexit and its implications,” said Aidan Flynn, FTAI General Manager. “With 3,500 Irish registered international hauliers, there is a lot at stake if support is not provided to small and medium-sized enterprises. The road haulage sector is a critical link in the supply chain that needs urgent assistance to prepare for the future trading landscape. Brexit is shining a light on the transport and logistics sector like never before as politicians and stakeholders struggle to understand the complexities of the supply chain and contemplate the enormity of the decisions to be made that will impact future trade for generations to come,” he added. “€5 million of funding should be ring fenced to support the international haulage sector prepare for Brexit. This funding would facilitate a review of companies’ Brexit exposure and customs and supply chain training,” according to Aidan. Another critical area for Government is how to reduce CO2 emissions in the transport and logistics sector. The EU is putting forward that in 2025 average CO2 emissions from new trucks will have to be 15% lower than those in 2019. FTA Ireland recommends that there should be more focus on increasing the roll-out of Compressed Natural Gas (CNG) refuelling sites and a continuation grant must be provided to aid early adopters to transition from diesel to more environmentally friendly alternatives in a more focused and organised manner. Operators that can demonstrate fuel efficiency through recognised and structured programmes such as EcoFleet and Trucksafe, that audit, review and document fuel efficiencies within the commercial fleet sector, should be excluded from increases in fuel duties and carbon tax. The industry must be encouraged to become more fuel efficient, this in turn will help these same companies make more informed choices when looking to purchase cleaner alternatives to diesel vehicles. The introduction of toll holidays for HGVs: In 2013 a toll holiday was trialled and proved very successful in moving HGV traffic onto tolled motorways. FTAI would like the Government to consider experimenting with a toll holiday for HGVs at two keys points in the calendar year, Easter and Christmas. This would improve road safety, reduce congestion on national and regional roads, as well as reduce emissions. The appointment of a dedicated Minister for Logistics who would be the ‘go-to’ person on transport and logistics, and Brexit. Making available funding for research projects that can map out the future requirements of the transport and logistics industry, encompassing scenario planning and mapping for a hard Brexit.